Following a highly-successful grand opening, Lake Mary’s hit new poké restaurant Kona Poké is adding to its super fresh and delicious offerings with “Tuna Tuesday”. 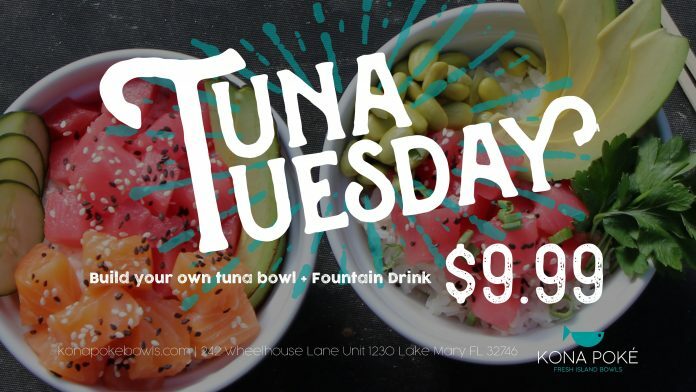 Patrons who dine at Kona Poké every Tuesday can enjoy a “Build-Your-Own” tuna bowl and a fountain drink for just $9.99 (regular price $12) all day from Open to Close. Kona Poké’s healthy, fast-casual eatery serves up Hawaiian-style poké bowls with fresh sushi-grade fish, house-sauces, numerous toppings, plus vegan, gluten-free and cooked options available. Diners can savor a variety of Signature Poké Bowls, Build-Your-Own Bowls, Soup, Salads and Mochi Ice Cream inside Kona’s contemporary, inviting restaurant vibe with elements of poké’s Hawaiian heritage. Kona plans to open 20+ locations throughout the Southeast over the next several years. 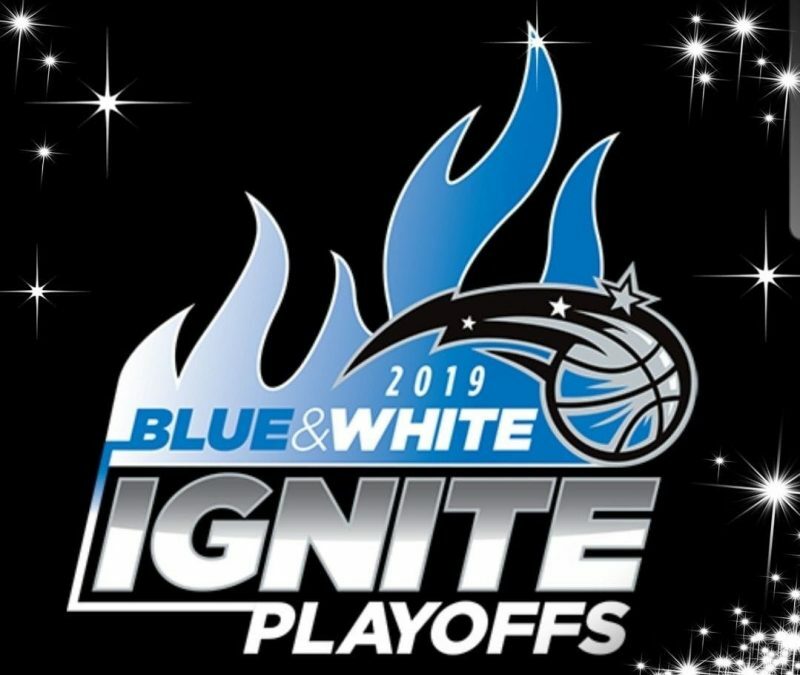 Kona Poké will be giving away FREE poké for an entire day if the Magic win the Eastern Conference Finals! (*Offer excludes drinks, sides and premium toppings.) It will be the day after the game. Stay posted to their Facebook and Instagram pages! Enjoy “Tuna Tuesday” at Kona Poké located at 242 Wheelhouse Lane, Unit 1230, Lake Mary, FL 32746. Hours of operation are Monday-Saturday 11am-9pm, Sunday 11am-8pm. For more information, call 407-500-KONA or visit www.konapokébowls.com.